At Druids we firmly believe that a good grounding in the basics is the biggest factor in determining how far you will go with your polo. The first step for any budding polo player is an ‘Introduction to Polo’ Lesson with one of our experienced coaches. ~ Finally, spend time mastering hitting the ball on horseback! Our Intro To Polo Lesson is a tried and tested formula which has been the route into polo for countless players, if you’re interested in taking up polo, we believe there is no better way to give it a try. …you do not need to be an Olympic level rider! Some riding experience helps but some of our non-riders with confidence and perseverance have made astonishingly quick progress. …you don’t need your own pony or even your own riding helmet. We have ponies, sticks, whips, hats all included in the price of a lesson. Just turn up with some sensible footwear and you are good to go! Coaching at Druids takes three main forms: one to one private lessons; group lessons; and Instructional Chukkas. Whether you want to improve your riding, your hitting or your tactical play, consider booking in with one of our experienced and internationally renowned coaches. Instructional Chukkas: After completing an Intro to Polo most people will go on to have five to ten private lessons before joining Instructional Chukkas. These take place every Saturday afternoon and are a great introduction to competitive play. You will begin to learn the rules and tactics of the game, which shot to use and when and how different plays fit together. These are a great bridge between private lessons and club chukkas. Private and Group Lessons: These can be arranged Tuesday to Sunday, all year round. Discounts are available for large groups and for bulk bookings. Full / Half Day Courses and Clinics: In addition to the above we run a number of course throughout the year, some are designed to aid the transition between arena and grass polo, some will work on your riding and horsemanship, and some just to get some extra hours in the saddle over the Christmas and Easter breaks! Keep an eye on our “What’s On” page for more on these. You are never too old, too experienced or too much of a superstar to keep learning! Our senior coaches regularly assist more advanced players with specific aspects of their game or riding. Whatever you’re after, please get in touch to discuss and book your next polo lesson. 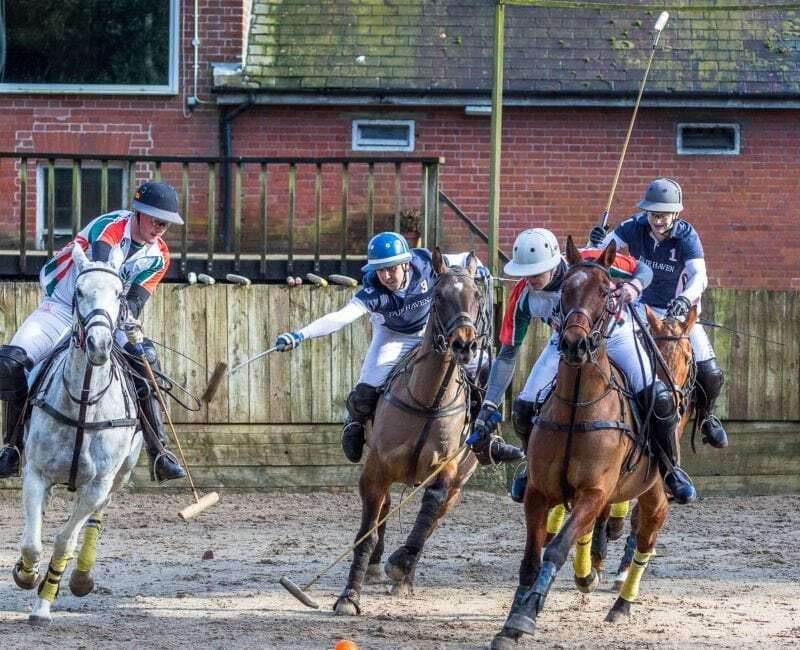 Student polo has always been a big part of what we do here and we are very proud of our relationship with schools and universities in the south of England. 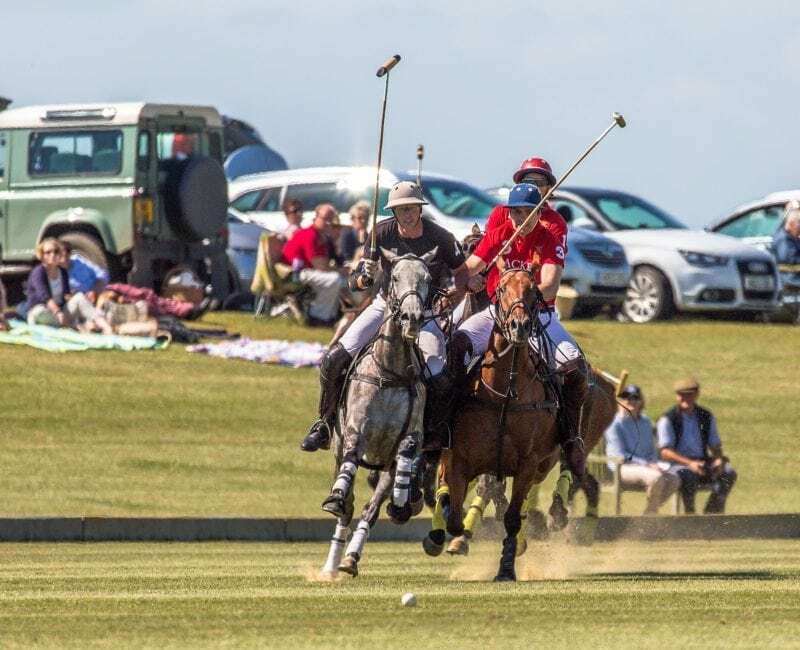 We are the polo home of Marlborough College, Milton Abbey, Sherborne, and the universities of Bristol, Bath, West of England, Southampton and Exeter (who have quite a commute up from Devon in order to train with us!). We also provide training and matches for a number of OTCs as well as hosting their Winter Challenge Cup. We run a full calendar of events throughout the year including inter-schools matches, varsity games, and polo boot camps. 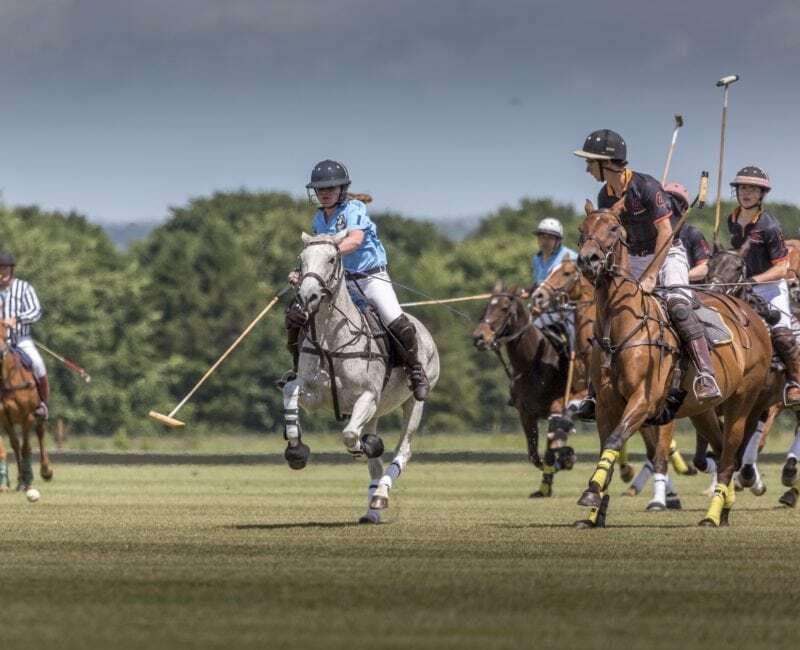 Our famous Exeter Cup and Super League tournaments showcase some of the highest levels and most fiercely fought university polo anywhere in the world. Training takes the form of weekly sessions at beginner, novice and intermediate levels with slots booked out either exclusively for your team or combined so you meet and train with players from other schools or universities. Our weekly group lessons mean the exhilaration of polo is never so affordable as when you are a student. If your school or university is not already playing with us and you’d like to get involved please drop us an email. 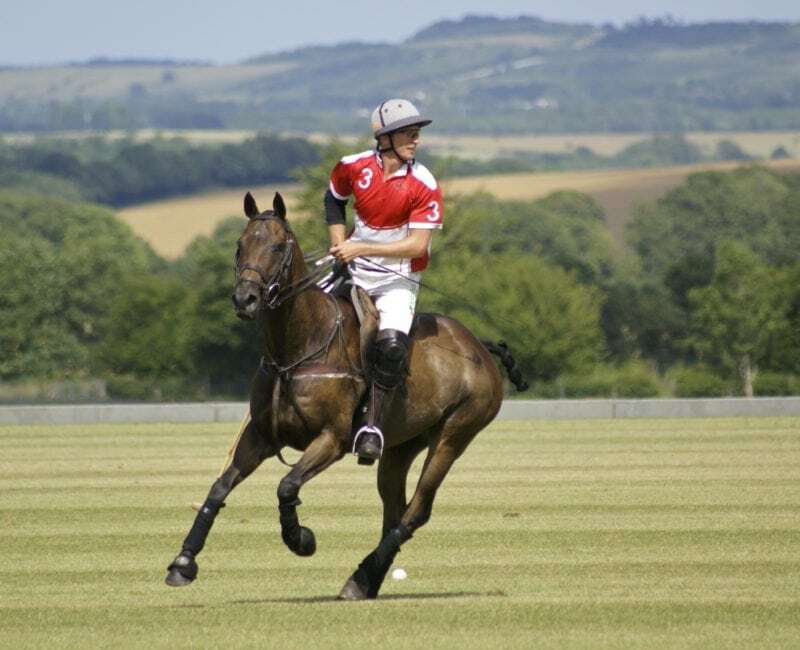 Druids Lodge Polo Club was founded with the mission to produce a high standard of polo for the south west of England. Playing chukkas at Druids means you will always have other strong players on the field with you to help raise your game and ensure the polo is fluid, fast and most importantly fun! We have a full programme of fixtures in both the summer and winter with tournaments from 0 to 8 goal standard. Our four Druids Leagues (Spring, Summer, Autumn, Winter) are usually around -2 goal level and a great and affordable way for newer players to get involved in competitive polo. Packages range from Full Membership to Student Membership and our Excluding Chukka Fees option is good for those who are likely to play on a more occasional basis. To discuss memberships or find out more don’t hesitate to give us a call. You can also download our fixture card and price list here. Spectators are very welcome at all our matches. Gates are open on Saturdays and Sundays to drive in, park up and picnic pitch-side! Follow us on Facebook for latest match times and more. The horses are what really matter, from your first hit of a ball to the closing moments of that big final. Here at Druids Lodge we look after over 120 horses at either work, rest or play. 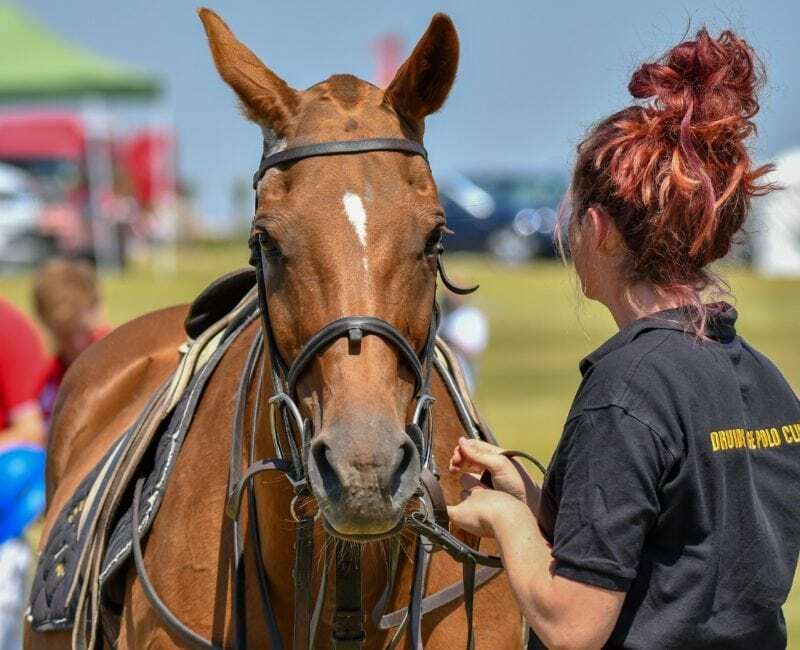 This includes school ponies, ponies playing professional polo at all levels, hirelings, full and part liveries, horses on holiday, broodmares, foals, a stallion and youngsters in training. Please click here for our Livery Ts & Cs. If you have any questions about livery, pony hire or anything horse-related then please get in touch. We love talking about horses and look forward to hearing from you.